Rutherglen, in the north-east of Victoria, is a warm region best known for fortified wines and dense, full-bodied reds. 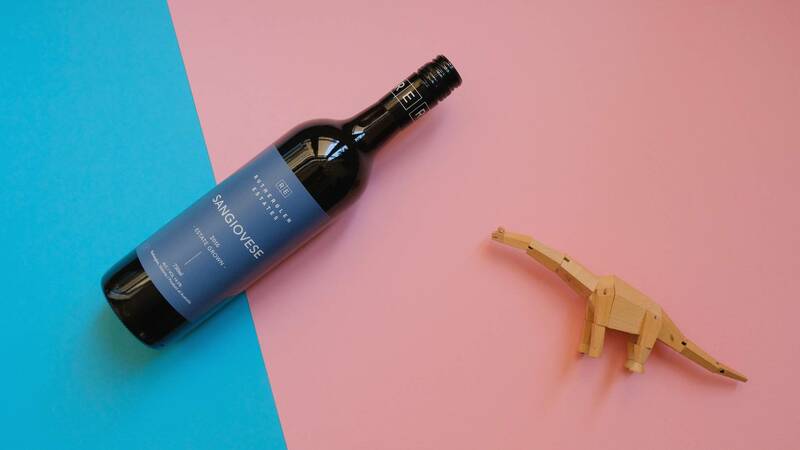 Sangiovese traditionally performs better in slightly cooler environments, and that makes this wine doubly impressive. You can certainly taste the ripeness of this wine though - flavours of macerated strawberry and cranberry, with a sooty/charcoal edge. Aromatically it's more complex, with some charcuterie, a touch of smoke, brambly dark berries and some herbal notes like juniper and thyme. The moderate tannins do a good job of keeping things balanced. Overall, an incredibly solid wine with gentle, approachable fruit and some complex savoury flavours. Rutherglen, in the north-east of Victoria, is a warm region best known for fortified wines and dense, full-bodied reds. We may have left the summer months behind, but that doesn’t mean we can’t enjoy this gorgeously sunny wine from Rutherglen Estate. Made from the ever-pleasing Sangiovese grape, this is a red wine which is going to pair nicely with all your Italian favourites, and few more besides. 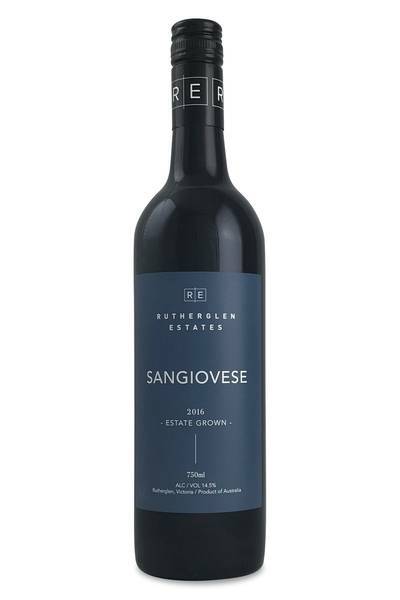 Sangiovese loves tomato, and also works well with dishes cooked in olive oil and butter - those firm tannins can easily cut through any fattiness. Pizza Margherita, Spaghetti Bolognese or puttanesca, meatballs in tomato sauce, gnocchi with sage butter… all these classic dishes will be delicious with this wine. Rare steak and minced beef, lamb chops, roasted pork, and grilled vegetables will also be highly satisfying matches.